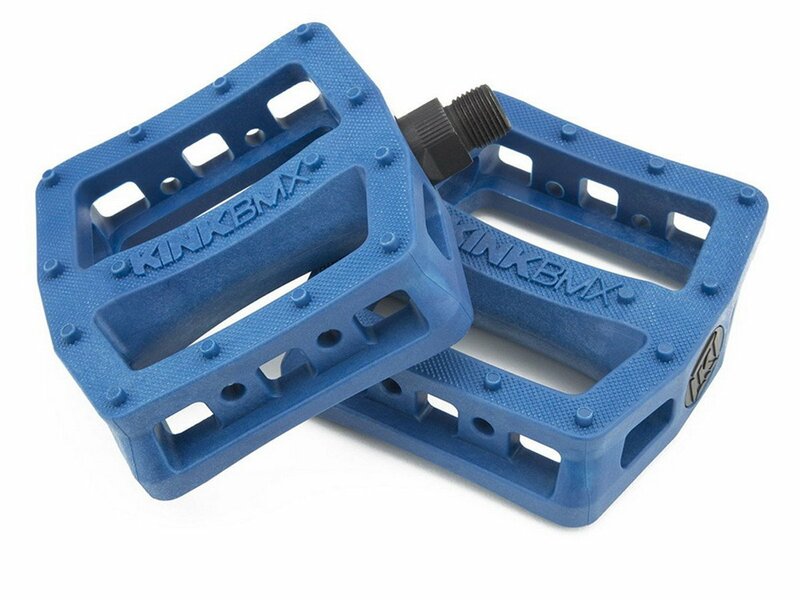 The Kink Bikes "Hemlock" Pedals are made from an ultra durable nylon and fiberglass blend material, and spin on a tough chromoly spindle. 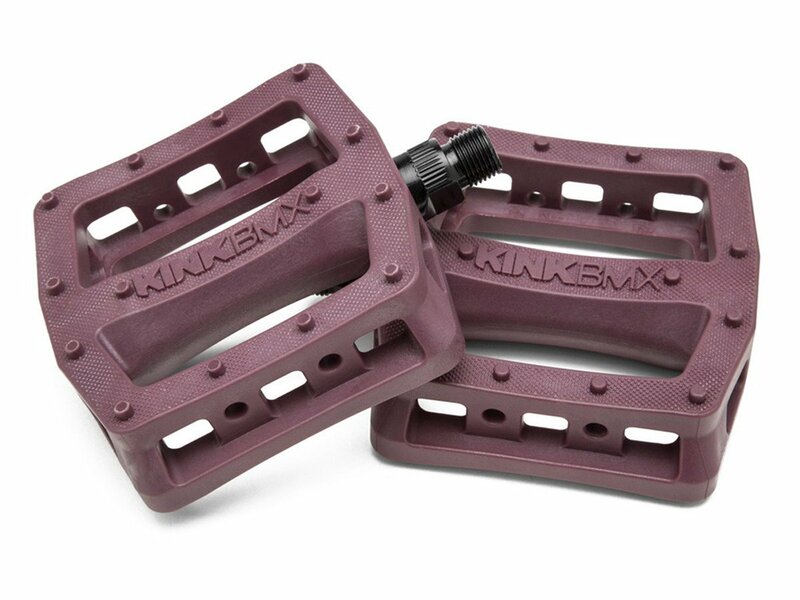 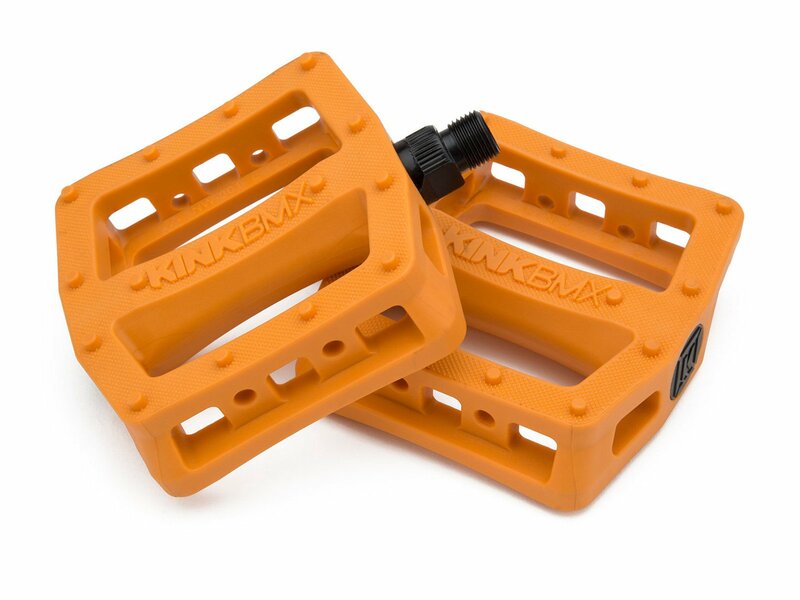 Featuring 14 molded pins per side and covered with micro knurling across the entire platform, these Kink Bikes "Hemlock" Pedals provide great traction. 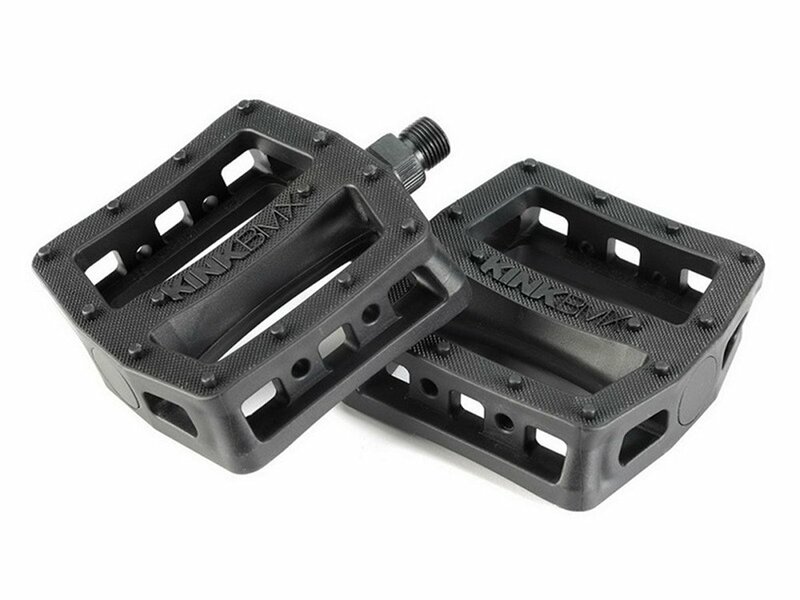 The generous platform size and concaved body, provide a super comfortable pedal.